This month we’ve chosen to highlight some of the beautiful new hand lettering books we’ve been spotting on our shelves! Have a go putting pen to paper with the ideas and techniques in our selection below, and develop your own unique stylish script. Modern calligraphy workshop : the creative art of pen, brush and chalk lettering / Imogen Owen ; photography by Kim Lightbody. The golden secrets of lettering : letter design from first sketch to final artwork / Martina Flor. Nib + ink : the new art of modern calligraphy / Chiara Perano. The art of lettering : modern calligraphy in four easy steps / Stefan Kunz. Modern lettering : a guide to modern calligraphy and hand lettering / Rebecca Cahill Roots. The art of creative lettering : calligraphy techniques, projects and alphabets / Janet Mehigan. Hand lettering is on trend at the moment. Nothing better than bringing together quotes from books and this amazing form of art. 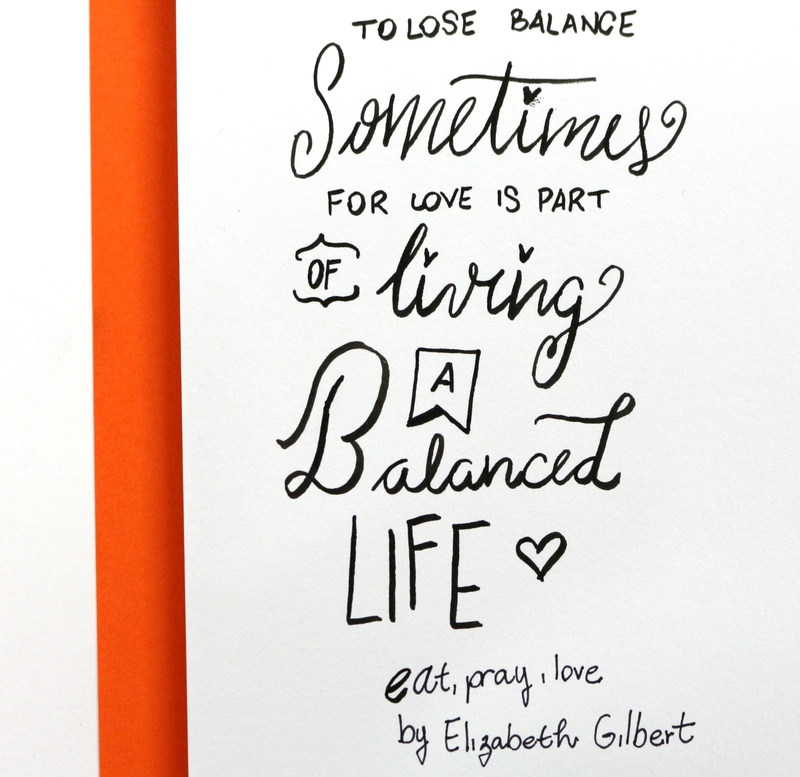 We have Eat, Pray, Love by Elizabeth Gilbert in our catalogues in all possible versions – as an eBook, eAudio and the movie as well. Hand-lettering ledger / Mary Kate McDevitt. Adventures in lettering / Dawn Nicole Warnaar. “The ultimate hand-lettering workshop for young creatives! Mastering calligraphy : the complete guide to hand lettering / by Gaye Godfrey-Nicholls.